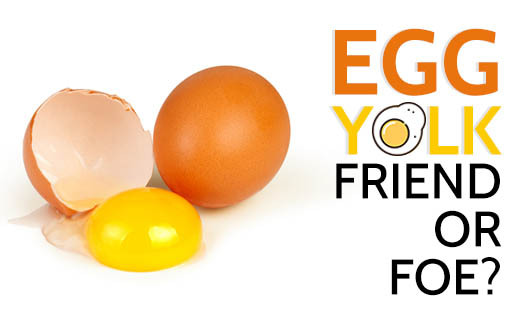 Egg Yolk - Friend or Foe?! Egg yolk contains a wide array of vital nutrients in addition to cholesterol. It has been considered to be one of the most nutritious foods available naturally! Most of the calcium, phosphorus, zinc, vitamin B1, vitamin B6, vitamin B12, pantothenic acid, folic acid as well as iron from the egg in present in the yolk. Certain vitamins like A, D, E, K are fat soluble... so needless to say, egg yolk being the most suitable medium for them contains a lot of these! The protein which is present in the egg white, is made bio available (to your body) due to the egg yolk... beat that! So what is the use of eating only egg whites all the time? As a Dietitian, I would not recommend egg yolk for people with high blood cholesterol, but the people with normal levels of blood cholesterol egg yolk is not harmful. With proper diet pattern, physical activity and lifestyle, egg yolk will not be an enemy to you. Do not categorize any food as bad, unless you have complete knowledge about it. Egg yolk is not a bad food, consult your Dietitian to know how frequently and how much egg yolks can you consume! Mind your diet, mind your activity and mind your lifestyle... Egg yolk will turn out to be your Friend!